Description: Show your team spirit! 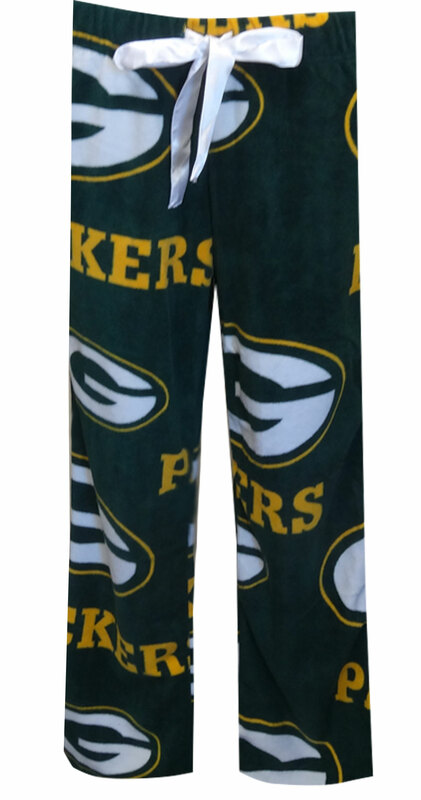 These cozy fleece lounge pants for women feature the Green Bay Packers logo on a classic forest green background. They are machine washable, and have a covered elastic waistband with satin drawstring tie for that extra feminine touch.